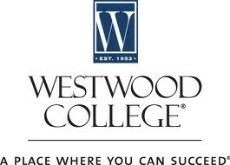 Westwood College is an institute of higher learning that dedicates itself to providing career-focused and high quality education that will help students with the credentials they will need to enhance their existing skills or learn new skills for a change in career. All the programs are designed to empower students to pursue their career goals. The graduate placement services at the school are aimed at making it easier for students to find rewarding jobs after they graduate from the university. The college was founded in Denver, Colorado in 1953, as the Radio and Television Repair Institute. In 1958, with the expansion of the electronics curriculum the name of the college was changed to the National Electronics Institute (NEI). The college constantly updated its courses through the 1960s and 1970s and offered courses that were intensive, practical and reflective of modern practices. The Denver Institute of Technology took over the ownership and expanded further, until 1997 when DIT officially became the Westwood College of Technology. Today, the college has 17 campuses in California, Georgia, Colorado, Texas, Illinois, and Virginia along with an online campus. Westwood offers a unique career-focused and hands-on curriculum. It provides three-year Bachelor’s degrees in fields of high growth. Over 15,000 students are enrolled in more than 25 Diploma, Associate’s, Bachelor’s and Master’s programs in fields like Technology, Design, Business, Justice, Healthcare and Industrial Services. The school’s business relationships with top companies help students as they are sought out and offered internships and jobs by the time they complete their graduation. The Program Advisory Committee of the college consists of people from different industries and business, and they help with the coursework design that is highly relevant to the demands of the current workplace. Westwood College offers several online degrees online for students to complete their graduation quickly and in a flexible manner. Associate’s degrees are created in such a way that they can be completed in just 17 months and Bachelor’s degrees can be finished in three years. Students can work towards their graduation completely online and they will have a high level of interaction with the faculty and other students in a very interesting online environment. In case the programs change, graduates of Westwood have the advantage of getting “retrained” for free. The Associate’s and Bachelor’s programs online are available in fields like Animation, Interior Design, Visual Communications and Animation. Students who graduate from Westwood College are pleased with the hands-on approach the college offers and their experiences at the college. With the number of businesses the college is associated with, most of them end up with jobs in their hands even before they complete their graduation. This makes the intense curriculum and the practical experience all worth it. Since students are offered so much during their time at the college, they come out as highly confident and intelligent individuals that can take on any task in their real-world careers with aplomb, and this is precisely the reason there is much demand for gradates from Westwood. Have you studied at Westwood College? Please provide a brief review of your experience at Westwood College in the comment section to help other readers! This so-called college is a diploma mill. Degrees acquired from here are worthless and the credits are not transferrable to real universities. A very good example of how incompetent this school is, would be the Assistant Dean, Tamara Radley. She has acquired all of her degrees from Diploma mills. Therefore, she is completely uneducated and this is obvious when one recognizes her serious lack of intelligence and professionalism. She is a prime example of what a joke this so-called college is, not to mention that the negative reputation and lawsuits against his school speak for themselves. This so-called college should be shut down. Do your research. Do not attend this bogus school. This is a diploma mill. There are many lawsuits against this school. Even the Assistant Dean, Tamara Radley is a very good example of uneducated, bogus unprofessionalism. All of her degrees have been acquired from diploma mills. Therefore, she is completely uneducated. And to come in contact with her, one would have no doubt as to her serious lack of competency. She, along with this college are a serious joke. The college should be shut down. Do your research. Do not attend Westwood College.